Our business directories list local music services to Aberdeen. Musician Go provides the most comprehensive online search for finding music businesses, including music stores, recording studios, rehearsal spaces and musical instrument repairers. Whether you’re looking for guitar shops, brass instrument stores, a new band rehearsal room, use our filterable search to find music services you’re after. If you’d like to advertise your business, create a free profile here. 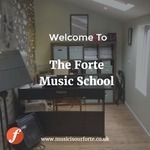 We help people from all over the world; private coaching, online singing courses, free online musicianship courses, choir masters.